The wedding I’ve been waiting for is just around the corner. No, not mine – Prince Harry and Meghan Markle! Without a doubt the nuptials of the year, this royal do has brought wedding season forward a month, but I’m not complaining because I adore them. 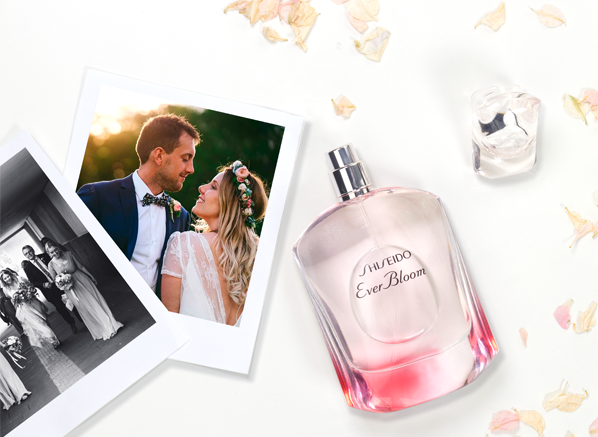 I love seeing the dress style the bride chooses and hearing the first dance song, but the main thing I’m excited to hear is what fragrance the bride wore down the aisle. 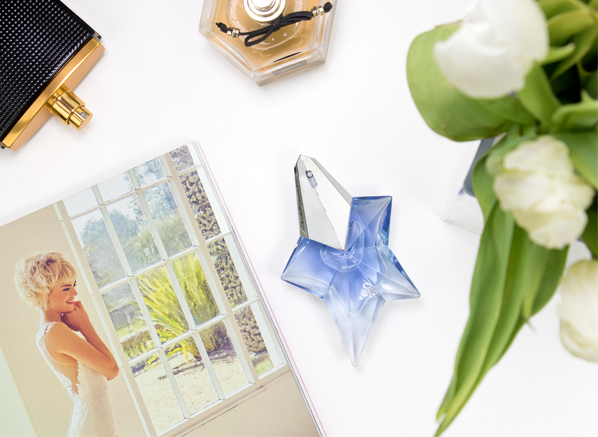 Choosing a fragrance for ‘the big day’ is a big decision. 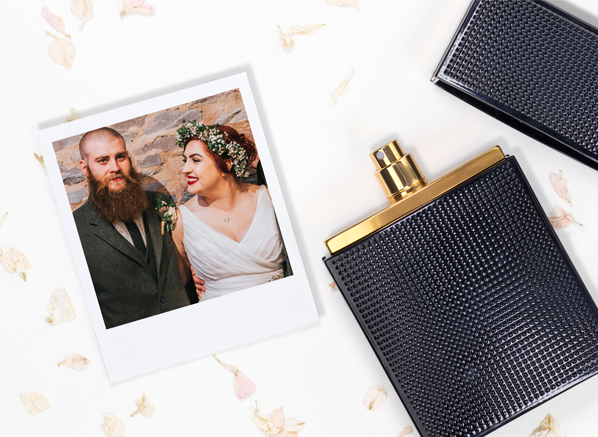 It’s the scent that’ll evoke memories of the event for years to come, it’s what your husband or bride-to-be will smell as you do your vows – so, it’s not a decision to take lightly. If you scour the web you’ll find articles predicting Meghan Markle’s chosen perfume (rumoured as Houbigant Quelques Fleurs), but what are everyday women wearing to tie the knot? Well, I’ve found out. 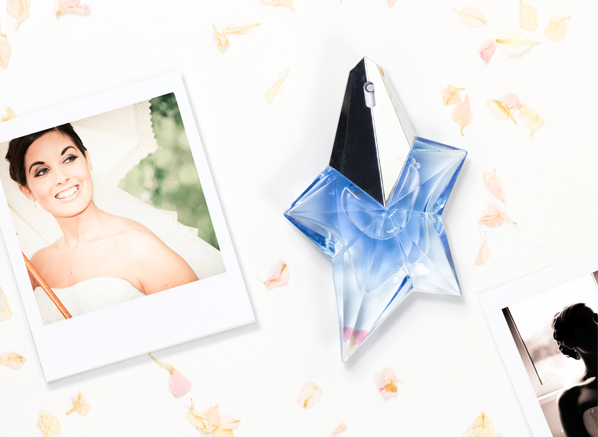 From Shiseido to Mugler, here are 5 of our wonderful customers and the aromas they wore to say ‘I do’. 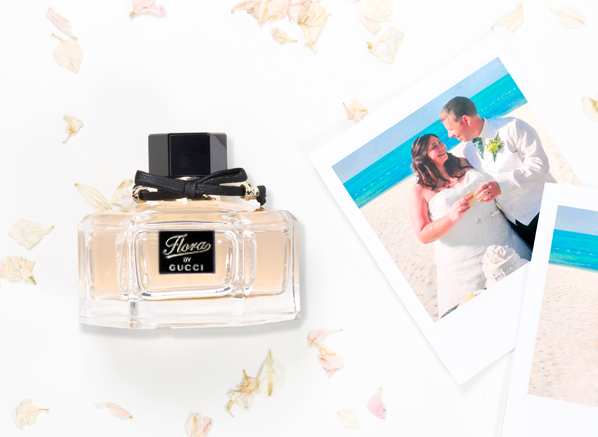 Lora says: “Scent evokes really strong memories with me so there was only one choice for my wedding perfume. We got engaged in Las Vegas and I had purchased Elizabeth and James Black Nirvana whilst we were out there so I couldn’t not wear it on our wedding day. 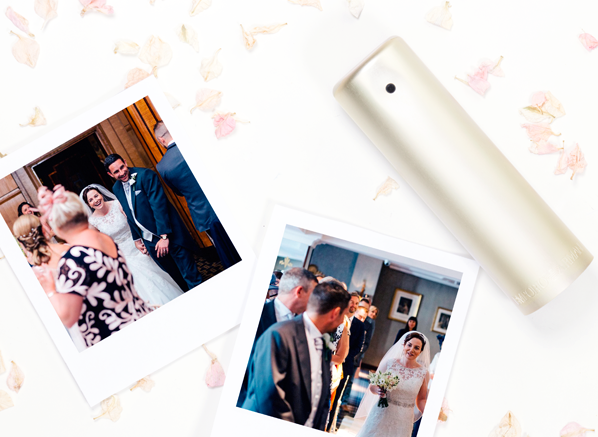 Whenever I wear it now I’m instantly whisked back to a holiday of happiness and surprise, as well as a wedding day filled with love and laughter! This entry was posted on Monday, May 14th, 2018 at 2:34 pm and is filed under Fragrance, Tried & Tested. You can follow any responses to this entry through the RSS 2.0 feed. You can skip to the end and leave a response. Pinging is currently not allowed.